Grasslands cover approximately 37 percent of Earth’s land surface when calculated with shrub-lands and savannas. In Western Europe, grasslands comprise 40 percent of agricultural land. And now European Space Agency (ESA) Copernicus Sentinel satellites are being used to detect and better evaluate management practices of grasslands in Estonia. 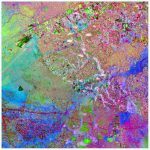 The European Space Agency (ESA) Sentinel-2A satellite collected this image over western India: a seasonal salt marsh known as the Rann of Kutch. Airbus recently launched its U.S. base and operations of a new commercial drone startup: Airbus Aerial. 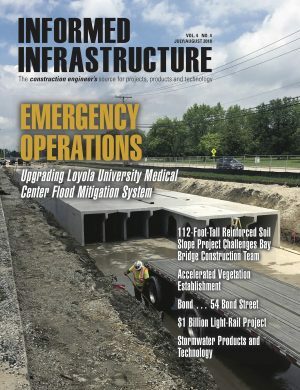 With bases in the United States and Europe, Airbus Aerial’s initial business will focus on developing new imagery services that leverage software and aerospace technology to offer actionable data and analysis of information provided by drones, satellites, high-altitude aircraft and other sources. More than two decades of observations by five radar satellites show the acceleration of ice loss of 30 glaciers in Western Palmer Land in the southwest Antarctic Peninsula. 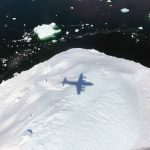 The shadow of NASA's P-3 aircraft is seen over an iceberg on a May 8, 2017, flight supporting NASA's Operation IceBridge mission. IceBridge began its final week of Arctic Spring 2017 surveys with a glacier-packed mission in Greenland. The Geological Remote Sensing Group (GRSG) expanded its membership as Planet—owners and operators of the world’s largest commercially operated fleet of satellites—became the group’s latest corporate member. 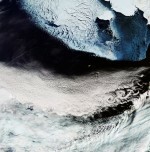 The European Space Agency (ESA) Copernicus Sentinel-3A satellite collected this image of the Bering Sea, north of the Alaska Peninsula, on March 26, 2017. With approximately 90 percent of world trade carried by ships, ensuring a vessel follows the fastest route has obvious economic benefits. By merging measurements from different satellites, the European Space Agency (ESA) is providing key information on ocean currents to make shipping more efficient and help reduce carbon dioxide emissions.